We are pleased to report that Dr Filip Granek, a laureate of the FNP HOMING PLUS programme, as well as founder and CEO of the nanotechnology firm XTPL, has received the award for Entrepreneur of the Year in the 16th Polish edition of the competition organized by consulting firm EY. 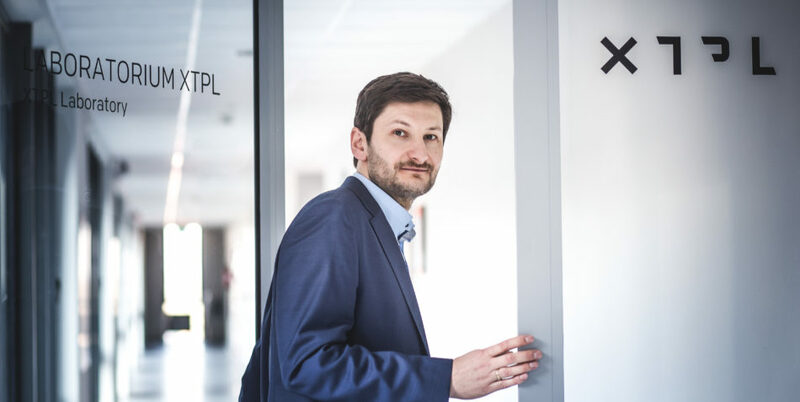 Dr Filip Granek is the founder of XTPL and one of the world’s leading specialists in modern technologies for producing solar cells and technologies based on nanomaterials. The unique printing system designed by XTPL enables incredibly precise application of nano-inks specially composed in the laboratory, and creation of dedicated structures on a sub-micron scale. The revolutionary aspect of this solution is that it achieves precision unmatched by any other printing method in the world, enabling production of advanced devices such as solar cells, displays, and biosensors using cheap and scalable printing methods. Dr Filip Granek will represent Poland at the international finals of the EY World Entrepreneur of the Year 2019 competition next June in Monaco. The award ceremony for the Polish competition was held on 22 November 2018 at the Służewiec Racetrack in Warsaw.